Articulate social and cultural entrepreneurs in a hub where they can exchange, learn and co-create. Build networks that look for innovative solutions, improve people’s lives in the cities and transform realities. 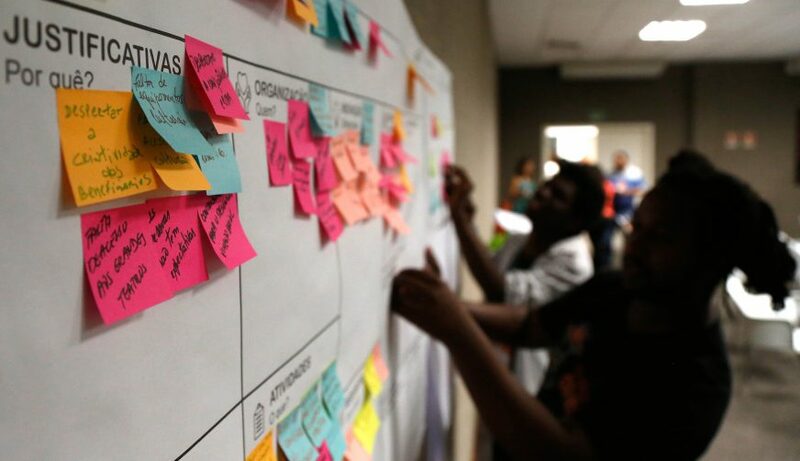 This is the purpose of Labora, Oi Futuro’s Social Innovation lab. 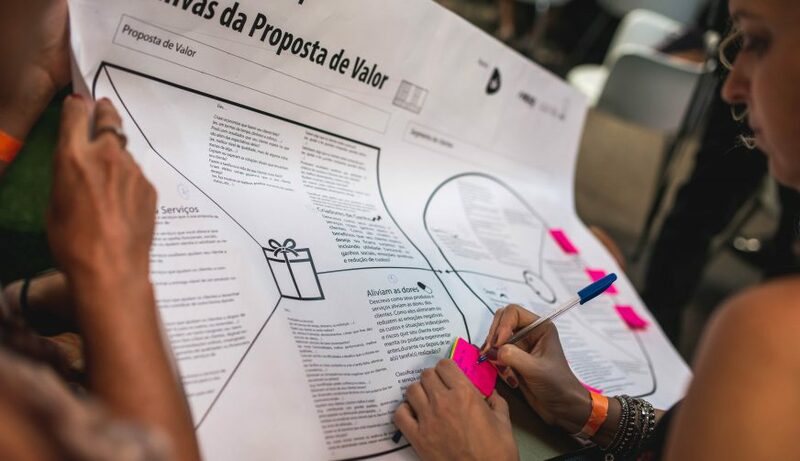 Labora is Oi Futuro’s Social Innovation lab, which fosters the creation of impactful and scalable solutions to the cities and the cultural management. It is a connective, learning and creative environment for organizations and entrepreneurs committed to an impactful change, and offers incubation, acceleration and training programs to social projects and businesses. Labora is a hub that catalyzes new opportunities of social entrepreneurship, boosting organizations that create significant social impact as it establishes partnerships with accelerators and distinguished organizations on the market. In 2017 and 2018 cycles, we worked with Instituto Ekloos, Startup Farm, Yunus Negócios Sociais and Centro de Estudos Avançados do Recife (C.E.S.A.R.). 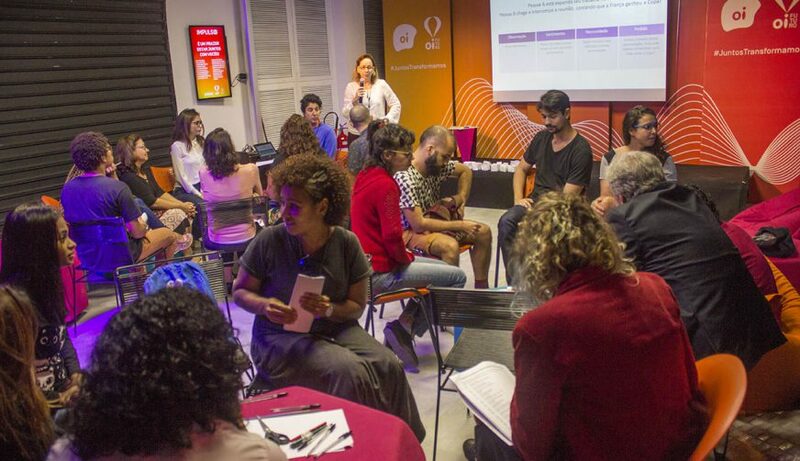 Labora works inside the Oi Futuro Lab, a creative, experimental and collaborative environment thought to boost creators from a multitude of backgrounds and social startups from all over Brazil selected through open calls. The lab offers a 500-square-meter area and 28 workstations, a makerspace and an auditorium. Besides Labora, this coworking area also hosts LabSonica, Oi Futuro’s music and sound experimentation lab, and offers all the necessary technical support and facilities to its members, so that they can carry out their projects in an innovative, collaborative and networking environment. Oi Futuro Lab operates in the Institute’s administrative building, on Dois de Dezembro Street, in Flamengo, Rio de Janeiro.